Find Stylish Collection of Boys’ Sandals Online at Shoppersstop.com! Childhood is filled with expeditions and experiences. Children do not think before going an extra mile while playing or exploring something. Every day is an adventure for them, and for such adventure-filled days, one needs a sturdy, comfortable yet stylish footwear which will go along a long way with them. We understand how important it is for you to select The right pair of footwear your little master. 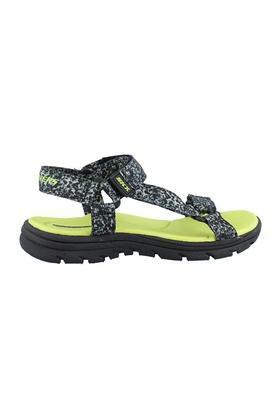 Hence, at shoppersstop.com we have a collection of fashionable and comfortable boy’s sandals and shoes. Our online portal has numerous footwear options from many trustworthy, kids-centric brands. 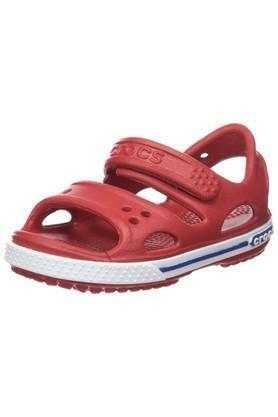 Shoppersstop.com brings to their customers the stylish range of sandals for boys. Your efforts of visiting stores to stores, comparing prices and brands until you find the perfect size, style and kind of footwear that you’re looking for, for your child ends here. 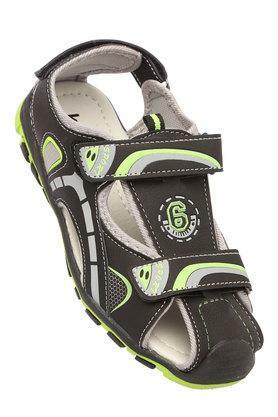 Convenient shopping is our motto, and that is why we have gathered many of the brands, styles and colourful selection of boys’ sandals at your fingertips. Now shop hassle-free from your choice of place and time, and get the product delivered at your doorstep with few clicks. Make SS your ultimate kids shopping destination and be at ease. Following are the few of the clothing styles you can pick for your child with which, the sandals will look dapper and classy. 1. Make your little prince wear stylish co-ordinates from our boys’ clothing section which has the matching t-shirt and pant sets. 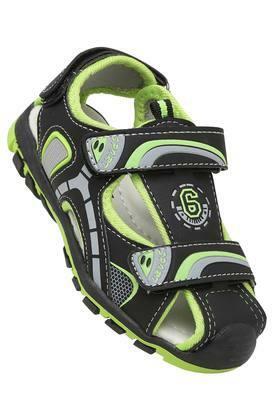 The sandals for boys that we house will go perfectly well with such clothing pairs. 2. 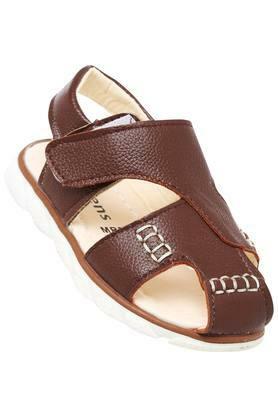 Buy voguish sandals for boys online and pair them up with a summer leisure wear. A pair of shorts and printed tee will create a chic and comfy look. 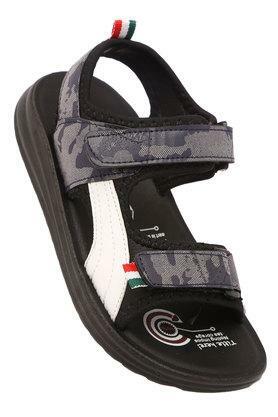 The open sides of boys’ sandals will give their tender feet the required air circulation, plus the Velcro or buckle design will give them perfect sturdiness. 3. 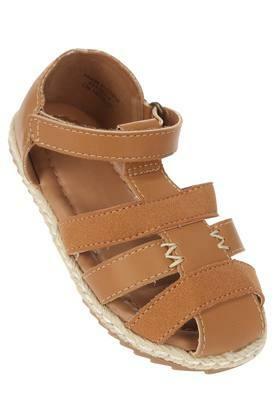 A pair of boys’ sandals is perfect for winter days as well. You can buy cute little winter wears and make their legs protected by a pair of warm socks along with the sandals. 4. 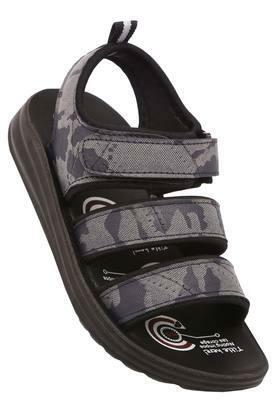 Boys’ sandals can provide the freest casual look. For all those family outings, weekend getaways and holiday seasons, you can rely on shoppersstop.com for your little one’s shopping needs. You can have them wear the trendiest top wear shirts with the designer bottom wear pants or shorts. These pairs will rock any events that you’re planning to go. The boys’ sandals that we offer comes with durability, sense of fashion, and Shoppers Stop’s promise that ensures the quality! Now leave the hassle of running from store to store behind for finding the exact size, as we house all sizes for all the age groups of children. Visit our online multi-brand store today and don’t forget to check out other kids’ footwear options that we have. 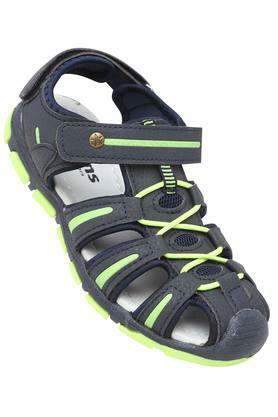 Apart from the boys’ sandals, we have flip-flops, boys’ sports shoes, loafers and more. Be at ease and continue shopping online at shoppersstop.com!